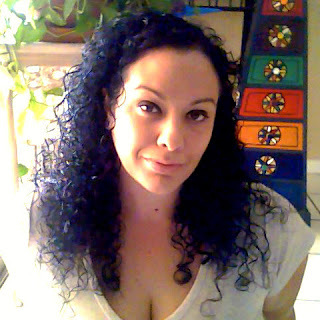 The Thursday Interview: Toni Verticelli. 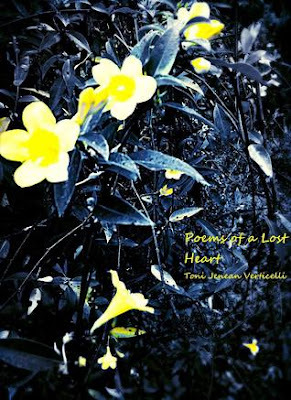 Today, I'd like to welcome Toni Verticelli, author of “Poems of a Lost Heart” to The Thursday Interview. Before we get started, a quick intro! Born in Daytona Beach, FL, I have moved around so much since that I had acquired the nickname "Gypsy" by the time I was 12 and it's managed to stick to this day. I am a single mom to one beautiful daughter that is my world and have an amazing, supportive family. I've been a licensed CNA for several years and currently am attending school for my AA specializing in Psychology and English. I like to paint, read and write about all the unique and unusual ways people act and the possible whys and how’s of their behavior. People fascinate me. I love to people watch, observe and read as much as I can get my hands on and try to instill the same in my favorite person in the world. My beautiful daughter. My passions in life are my family and friends, writing and music in that order. That's a difficult question to answer because it would be based on what I was saving them from. Am I saving them from themselves, someone or something? For instance if they were an addict, then no. I would get them help. If they were in danger from someone and I was capable of doing something even if it were illegal and no one in law enforcement would help me? Absolutely, in a heartbeat I would do anything in my power to help them. I happened to know the answer to this. You see, I have a blood disorder that I was born with as well as migraines that I have had since I was a tween. Being alive is fact, it is the natural, biological science of humanity. We are either alive or we are dead, there isn't actually an in between. Truly living is what we do with the time between those two points of alive and dead and how much we make it count. How much we go out and experience everything we can because we don't actually know when the end is. People as a whole tend to take that for granted. Everything around me, my emotions, whatever random thoughts pop into my head. I write them all down and then put them into an order that makes sense to me and hope they do to everyone else too. I’m an avid people watcher, they fascinate me. The nuances of life in general all around us tend to go unnoticed by the teen to twenty-somethings generation but kids find everything new and fascination and the elderly have learned to appreciate the life going on around them. I love watching it all flow together, almost like music. We are biologically programmed to propagate the species so there's that. Personally I didn't know I wanted kids until I had my daughter at twenty eight. Everyone is different and can go against their basic genetics and choose if they even want them, but those that do want them usually because they have an enormous amount of love that they want to share. No.5 What was the biggest challenge in creating your book "Poems of a Lost Heart" ? Life! Single parenting, school and writing makes it "fun" sometimes but it's one of my great, passionate loves. If you are passionate about something then you will take every challenge thrown at you to make it happen. We work, we learn, we play and we go on and write it all down as soon as we have the chance. That’s the life of a writer. Not everything you write is as good as you think it is and that is just fine! Embrace your failures, they are how you learn! What’s the quote? “What do we do when we fall down..? Get back up.” It’s the same with writing. No.7 How did you come up with the title "Poems of a Lost Heart" ? Every title is unique. Poems of a Lost Heart is a collection of poems I wrote while my marriage was failing, a close friend had been killed and my stepmother who raised me most of my life was very sick and eventually passed. I was feeling very lost at the time and writing helped a lot. Laughter mostly. I refuse to accept the opinions of strangers that have nothing to say BUT hate. If it is genuine and honest criticism then I take it to heart and hold it in regard because the person that gave it really read my work. When you read my work then you are taking the time to get to know me a little bit and that I find very important and personal. Because the only time there is truly nothing is when we are dead. There is always something. It may not be what you were looking for or thought you needed or wanted, but there is always something. Nothing is sure in life except death and taxes, everything else is experience. A small collection of poems and rhymes that hit close to the heart for me.